One of the most common questions pet owners have concerns what kind of food they should feed their four-legged family member. The options out there are seemingly endless. Just as with human food, there are pet foods that are healthy and good for your cat or dog, and then there are foods that are simply junk. These foods typically are over-processed, contain artificial ingredients, and are manufactured using cheap ingredients. And just like humans, pets need high-quality foods to achieve and maintain peak health. Freshpet® is a company that specializes in fresh food that does right by pets, people, and the planet. Freshpet® reviews what dogs and cats like and develops recipes that will help them live their best, happiest, tail-wagging lives. The concept of Freshpet® pet food is actually very simple. The company uses fresh, whole ingredients that are gently cooked without preservatives, and kept refrigerated – where fresh food belongs. Pet food customers won’t find Freshpet® food in a bag gathering dust after months (or years!) on a store shelf. Gently steam-cooked food is better than high-temperature, over-processed cooking methods. Ask your doctor what you should eat for your health, and he or she may mention these same principles. Freshpet also reviews its meals and cooks them to FDA and USDA standards to ensure pets don’t get sick. Every ingredient is delivered daily to the Freshpet Kitchens in Bethlehem, PA, and ingredients are sourced locally whenever possible. Additionally, cheap pet food may have corn or wheat gluten as its number one ingredient. Every Freshpet® recipe starts with US-raised chicken or beef. The ancient Greek physician, Hippocrates, is famous for saying, “’Let food be thy medicine and medicine be thy food.” He may not have been necessarily talking about pets, but the saying holds true for them as well! 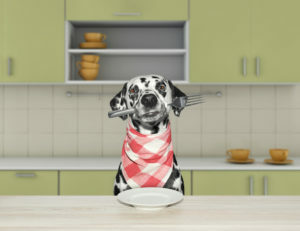 Pets that eat fresh food often see marked improvement in their health. You can read Freshpet® reviews where owners talk about how their pets now have shinier coats, healthy skin, cleared up allergies, and much more.